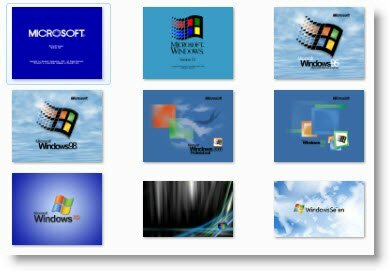 Windows Nostalgia Wallpaper Pack for Windows displays Windows logo backgrounds of all Windows versions right from v 1.0, 2, 3.11, 95, 98, 2000, ME, XP, Vista & Windows 7. None of the wallpapers are my creations. In fact, came across most of them here. If you’ve been a long time Windows user and you’d like to go back in memory lane; then here’s a theme which will take you back: Windows Nostalgia Theme Pack for Windows 7.